Project Mañana - Working Together Today For A Better Tomorrow. Can you feel it? Well, the children in La Yaguita de Pastor (and I'm sure around the world) can. Summer is in the air!! 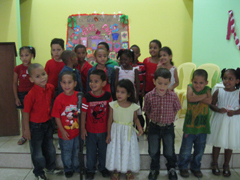 As I reflect back, I can't believe that Project Mañana is celebrating Nine Months of service in the Dominican Republic! I	am	truly humbled and honored to serve alongside the many child sponsors and supporters of Project Mañana International. We knew that our mission was simple and would be effective -- and thanks to you -- we are changing the community of La Yaguita de Pastor. While	there is still much work to be done, we have already begun to see the change that Project Mañana has made in the community. From improving the private school grounds, to the more important mission of providing a solid education and nutrition, Project Mañana is showing the community that we're here to partner with them. May	was	a	very busy month for Project Mañana as we celebrated Dominican Mother's Day, prepared for school graduation, and focused on our first-ever upcoming summer camp! Please visit Project Mañana's website for more information on how you can partner with Project Mañana; including child sponsorship. 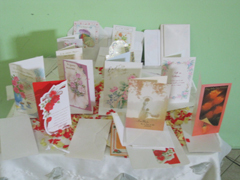 While the United States was celebrating a long Memorial Day weekend, our friends in the Dominican Republic were celebrating Mother's Day; which always falls on the last Sunday in May. 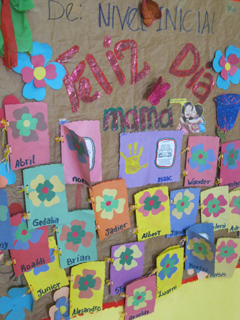 In our continued efforts to bring families together, Project Mañana hosted a Mother's Day celebration. The event was a HUGE success and smiles were seen on everyone's face. Mothers (who were pinned with a hand-made paper flower boutonniere upon entry) were joined by their children and other family members for a presentation of songs, a guitar solo, a display of artwork made by their children, and (of course) tasty Dominican food made by Project Mañana staff! 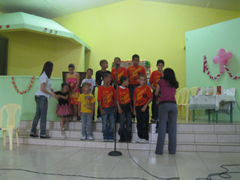 Project Mañana children took turns (by grade level) making their way to the stage to sing special songs of appreciation to all the mothers. Their radiant smiles and energetic personalities brought lots of laughter from the mothers in the crowd watching the performance. 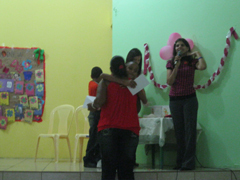 Toward the end of the event, each child presented their mother with a special mother's day card. In just a few short weeks the students attending Project Mañana's Private School will be finishing their school year and preparing for summer break! 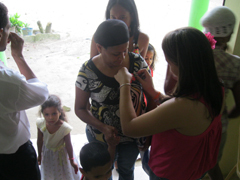 This summer, however, will be MUCH different than usual for the children in La Yaguita de Pastor. The buzz and excitement is already mounting as children learned that Project Mañana would be hosting the first-ever summer camp on the school's campus. During the week-long summer camp, children will enjoy games, arts/crafts, singing, drama, special presentations, a nutritious meal, and a daily theme based on virtues like forgiveness, compassion, sharing, and kindness. In addition to Project Mañana's regular full-time staff, a group of 10 young adult volunteers have been award the opportunity to serve as leaders and camp counselors. This, of course, allows the older children a valuable opportunity at leadership and teaches the much needed virtue of giving back and working within their community. We will share photos and stories in the upcoming newsletters. Please stay tuned! Did you know that 95% of Project Mañana's supporters stay connected with our efforts online and through electronic communication? Knowing that, Project Mañana is working hard to deliver information, updates, and news in several areas of social media, including: Facebook, Twitter, and now YouTube! Please take a minute to visit each of these social sites and "join" or "subscribe" to ensure you receive the latest information and updates on how your partnership is helping to change the lives of children in La Yaguita de Pastor, Dominican Republic. Do you have a social media idea? Please share it with us! 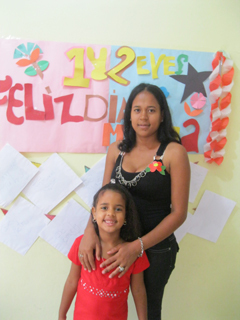 Meet Midell Janior Marte De La Cruz -- a precious student attending preschool at Project Mañana's Private School. 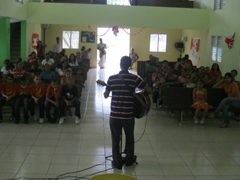 Midell, like many of the children from La Yaguita de Pastor, Dominican Republic has spent his whole life in poverty. His favorite food is corn and he loves to watch cartoons. From his radiant eyes, you would hardly imagine that sometimes he must rely on the memory of how corn tastes as he goes to bed with an empty stomach and without the necessary nutrients for his developing body. His small, run-down home is over-crowded with his family and, as one of the youngest children, he is often overlooked. There is good news! Midell is enrolled at Project Mañana's Private School, where he is guaranteed a private education and a nutritious meal, 5 days per week. Additionally, Midell has been partnered-up with an adult mentor to help guide him through everyday situations, questions, hopes, dreams, and fears. Midell is in desperate need of a sponsor and he would love it to be YOU! 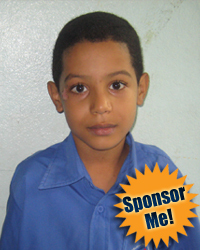 Please visit Project Mañana's website to read more about Midell and the other children in desperate need of sponsorship. You can easily sponsor a child online, by fax, or by mail. 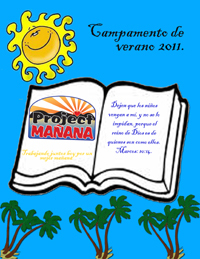 Project Mañana Needs Your Help! 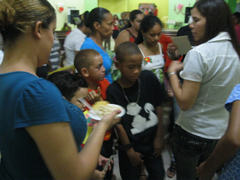 Project Mañana is a non-profit 501(c)3 humanitarian organization dedicated to bettering the lives of impoverished children, their families and communities through nutrition, education, and guidance. We achieve our goals through charitable donations and child sponsorship, which unites children in need with individual sponsors who wish to address the children's immediate and basic needs. Sponsorship gives poor children the tools and opportunities necessary for success by providing benefits and supporting programs for each child - primarily in the areas of education and nutrition. You are subscribed as " . $Email . ". To unsubscribe, please click here.